Unlike Tom Watson and many millions of others, I am still not persuaded of the merits of holding a second referendum on leaving or remaining in the EU. Given that I know that any form of Brexit will make the country worse off over time and moreover that it will impact more on those who have least, I am well aware of a contradiction here. I know Brexit will make people worse off, so why do I remain unconvinced about putting the whole thing back to the people? It’s hard. Do I respect the result of the 2016 referendum? Yes, but with a number of heavy qualifications. The leave campaigns lied and cheated their way to victory. Police investigations are underway to establish whether there was any criminal activity. And was ‘dark money’ involved? Was there Russian interference? Of course, I don’t know. My suspicions are probably not enough to justify another national vote. The actual result of the referendum, which was very close, followed by a general election a year later when Theresa May squandered her majority in an attempt to impose a hard Brexit on the country, should surely have been enough for compromise. 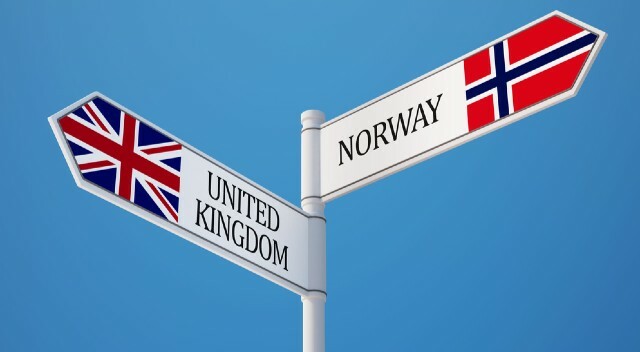 May could and should have reached out and come up with a plan, a kind of Norway Plus, or Common Market 2.0, which would have been acceptable to large swathes of the electorate. Brexit would be an afterthought on the daily news, not the headline every single day. Not everyone would be entirely happy but I’d wager the country was not as broken, as bitterly divided as it is today. May reacted as if nothing had changed and carried on regardless with her hard Brexit, handing a series of red lines to the EU, all of which they agreed to, and giving us the only deal they could: a very bad one. A very bad one, let’s remember, that May asked for. My heart is with the million plus people who will march on London today. I expect I agree with everything they are marching for. I believe passionately in free movement, in the single market, in a customs union; in short a common market. During these dangerous times, a hideously divided Europe benefits no one except its enemies who of course include Russia and – incredibly – Trump’s America. And yet. And yet I cannot bring myself to commit for a second vote, not yet anyway. Not for the cynical reasons Jeremy Corbyn avoids the subject – he is, after all, anti-EU and always has been – but because of something far less tangible. It doesn’t feel right. I know, too, that Brexit is the project of wealthy right wing, small state, low tax English nationalists who would adopt a scorched earth policy towards our great institutions like the NHS in a heartbeat and they have used their wealth and influence to get the result they want. I truly hate the way things are going in the United Kingdom, which if Brexit goes ahead in its current form, or perhaps any form at all, won’t be a United Kingdom at all. I hate the hatred, the bigotry, the racism and xenophobia Brexit has inflicted upon us. At a time when we needed political giants, we ended up with Theresa May and Jeremy Corbyn, surely the worst PM and opposition ‘leader’ ever, at the same time. If you had wanted to sabotage the country, you could not have done better than to ask May and Corbyn to do your bidding. Perhaps, eventually, we will need a people’s vote to end the deadlock and to save the country. I am quite sure that in the years ahead we will come to deeply regret the decision to leave Europe and seek to rejoin. I certainly hope so. In the meantime, Norway Plus has to be the option to put out the fire, at least for the time being. Then the leavers get the Brexit they want and the rest of us have successfully sought to limit the damage a hard Brexit would bring. I certainly wish Brexit would stop and we could get on with the rest of our lives. Only an exit from Brexit can do that because Brexit will drag on for years, perhaps decades, to come as we seek to negotiate agreements with the rest of the world, many of which will give be on terms worse than we currently enjoy. Even my preferred option will mean things dragging on and on. Boris Johnson didn’t mention on his bus that Brexit would take a decade or longer to sort out. The withdrawal agreement is the easy bit. But we have made our bed and we now have to lie on it, as comfortably as we can manage. Finally, we owe it to ourselves and the next generation to establish how we got into this position and whether there was any lawbreaking involved. As well as police action, I would like to see a fully independent public inquiry take place. If there was irrefutable evidence of serious wrongdoing a further referendum might be needed. That’s for another day. For this day, we should seek to minimise the damage of Brexit and somehow try to bring our country back together. I fear though that we could be too far gone.